For my last night in Bangkok I was staying at the Mandarin Oriental Bangkok. I also had the pleasure to discover some other properties of the Mandarin Oriental hotels in the past and was happy to yet enjoy a blissful stay at the iconic five-star luxury hotel, located on the banks of the river, in a stunning location, making my visit an unforgettable stay.. The hotel is settled on the banks of the Chao Phraya River, only a short walk from the city’s famous sky train and a short boat ride from the breathtaking Grand Palace. 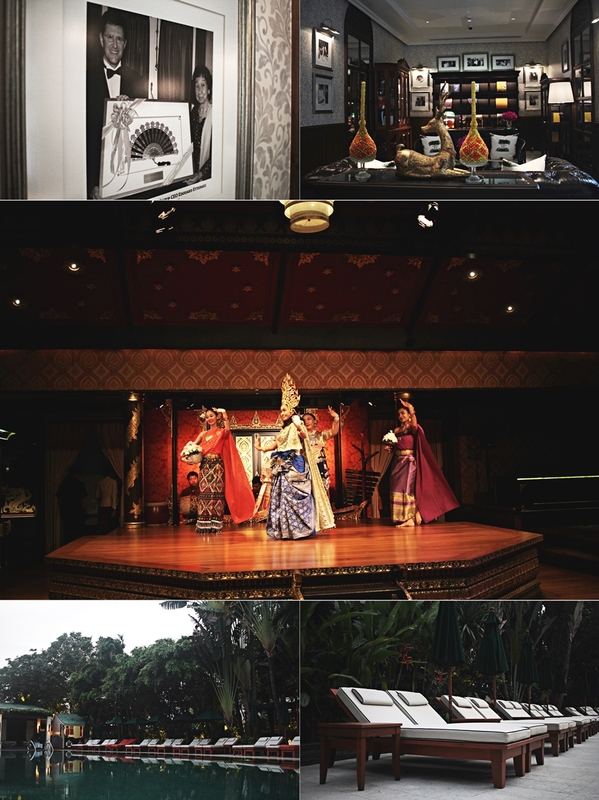 The hotel is known as the oldest hotel in SEA with more than 140 years of history and famous guests from the past and obviously nowadays, as it remains one of the best hotels among the glamorous properties in Bangkok. The Mandarin Oriental hotel chain has so far 31 hotels in 21 countries and is still growing. 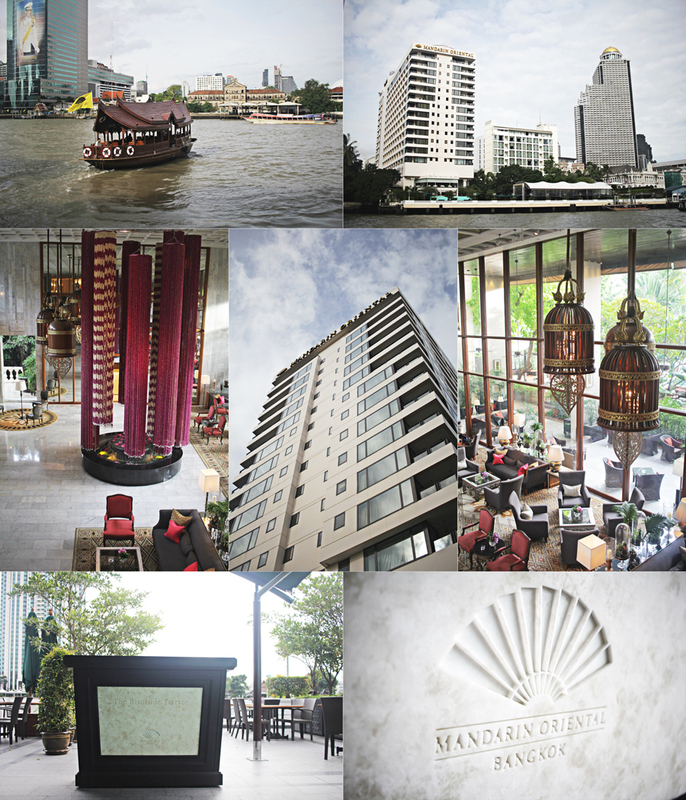 I discovered the Mandarin Oriental hotels a few year ago and I´m definitely a fan. Something truly special about hotel chain is the sense for the exceptional. In terms of location but also in general, the Mandarin Oriental hotels do everything with a meaning, creating a perfect memory. Combining the modern and local aspects along with the Asian hospitality and “that special something” creates a person environment for every guest and their tailored needs. As soon as I entered the hotel I was surrounded with the fragrance of fresh flowers. The lobby is decorated with a huge flower installation. Besides, all flower set ups are done inhouse by the housekeeping. No matter where one enters, there will be fresh flowers, which are always changing and giving all spaces a characteristic touch up and a beautiful finish. Also, guests receive a flower bracelet due to check in. After the check in I was guided to my room. As the hotel remains more than 140 years of history, there is an old wing and a newer one. I was staying in the new wing, which has a total of 16 floors, which of I was staying in the 15th floor. According to the Mandarin Oriental standard, everything was simply perfect. Also, I had an personal butler, which in fact supported me during my stay, as I had a request with my airline. Besides that, I was greeted with a welcome drink and a fruit plate in my room. Since Thailand hosts an immense variety of exotic fruits, guests are pampered with a variating offer of fruits every day. 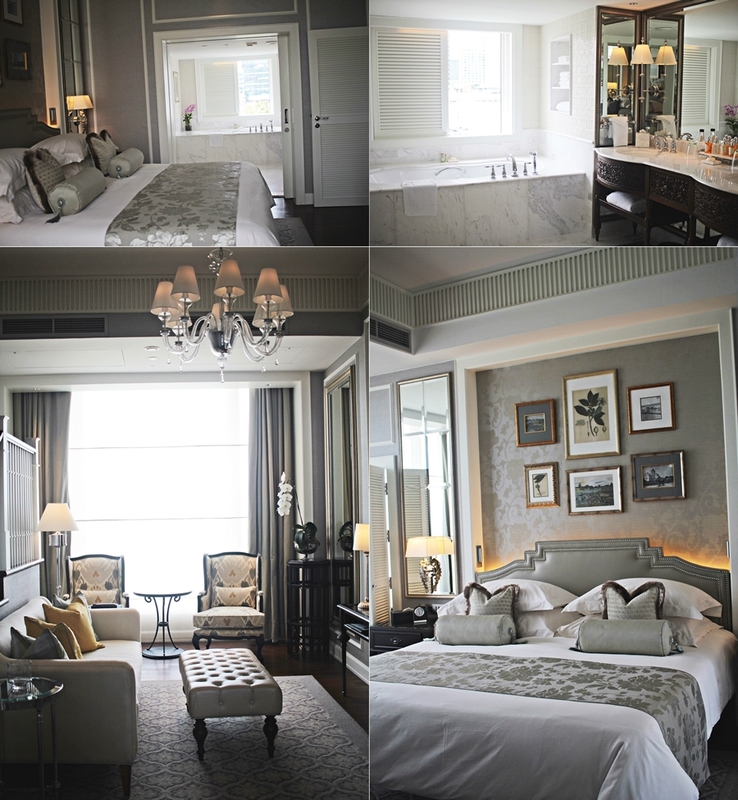 Besides my lovely room, I was also introduced to a room in the old wing, which has a distinctive style in interior. In total there are 16 diverse types of rooms and suites, up to 295m2 for the oriental suite. In fact, that the hotel is enjoying international popularity, it had to grow. Built in 1876 and located on the river side, the Mandarin Oriental Bangkok offers access to a boat, as the spa, gym and Thai restaurant are located on the other side of the river. Guests can enjoy the boat service unlimited and explore Bangkok from another angle. During my stay I enjoyed an afternoon experience in the iconic Authors’ Lounge. The Authors’ Lounge must surely rate as one of Bangkok’s, if not Thailand’s, most photographed locations. Originally an open roofed garden featuring a pond signposted ‘please don’t feed the tortoise’, the Authors' Lounge has since 1976, featured a glass roof and is the place to enjoy afternoon tea. In keeping with the great literary heritage of the hotel, the newly restored Authors’ Lounge will feature a brand-new collection of photographs of the many famous writers who have stayed at the hotel over the last three centuries. In addition, the ‘Heritage Authors, Noël Coward, James Michener, Somerset Maugham and Joseph Conrad are now immortalized in four new private lounges. The chef prepared a vegan afternoon tea for me, which was infused with coconut flavor and fresh fruits. Besides the delicious treats, it was most of a pleasure to enjoy the location itself, as it refers to such an impressive history. 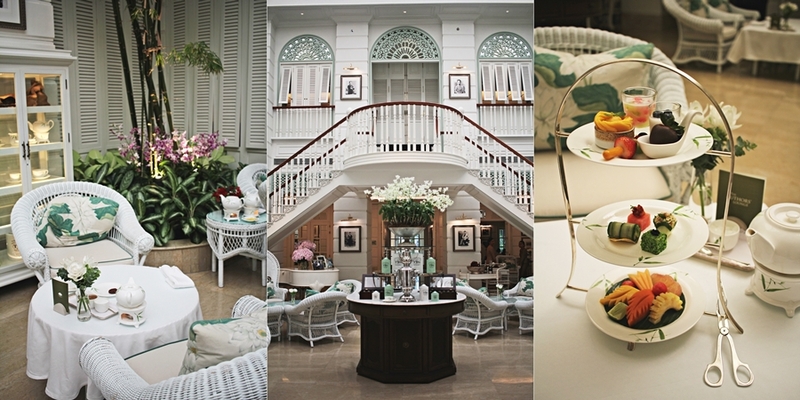 In terms of food one won´t get bored at the Mandarin Oriental Bangkok, which hosts nice restaurants and bars. Guests will be able to enjoy a traditional Thai dance during their dinner at the Sala Rim Naam Thai restaurant or see the river side by night at the Riverside Terrace, which is the international restaurant of the hotel, just to name a few, along to the Chinese and Italian restaurant. 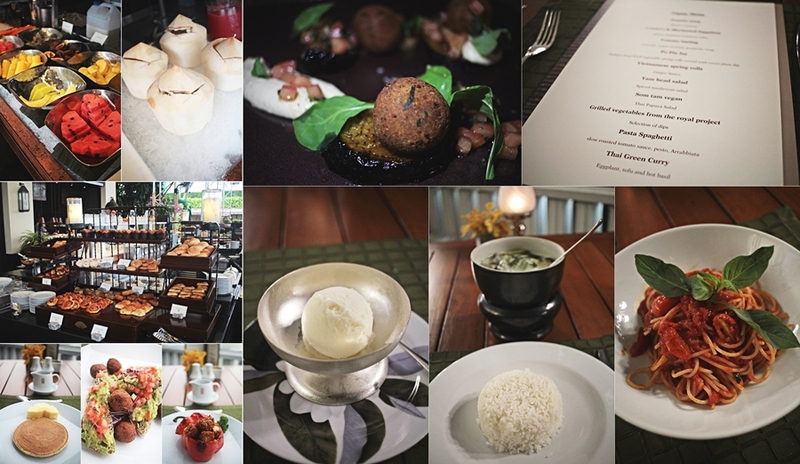 I enjoyed a vegan dinner at The Verandah, where guests can enjoy a la carte breakfast lunch and dinner. Guests with special food requests are welcomed. Even vegan and gluten free requests weren´t a problem. The cuisine is, as mentioned international, but still includes the local goods and created gourmet moments. The Riverside Terrace is opened for the daily breakfast buffet, starting from 6am to 11am, and offers a wide variety of food stations, so as sushi or even young coconuts. Guests do also have the option to enjoy breakfast a la carte at The Verandah. 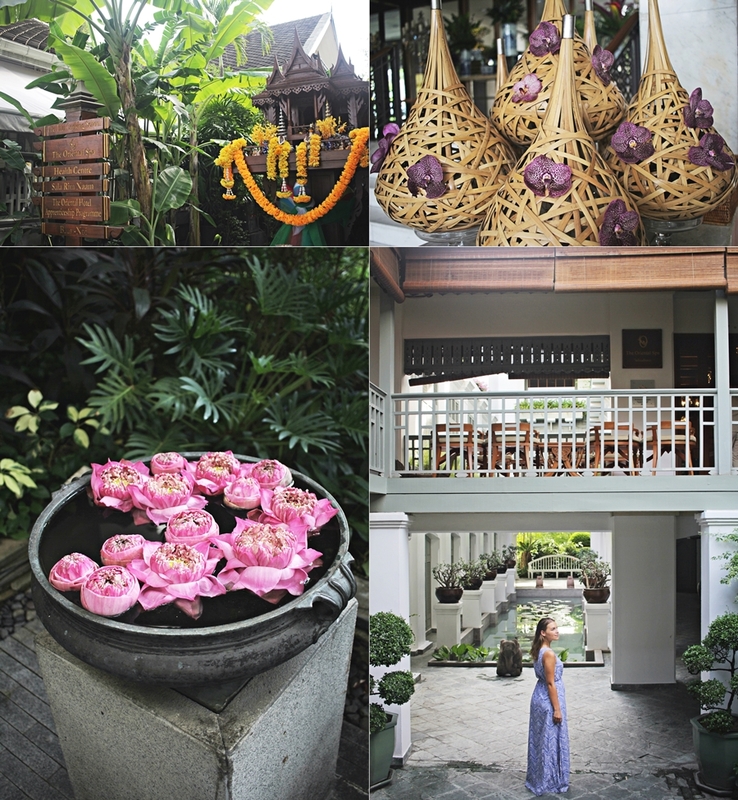 As guests might come to explore Bangkok, they will probably end up discovering a lot about the hotel itself, as every corner spreads history. Per example one can visit the office of a former employee of the Mandarin Oriental hotel, who dedicated 62 years to the hotel and still visits the hotel. Other than that, guests can still enjoy a break from busy Bangkok and enjoy their self at 2 spas, a fully equipped gym with a jacuzzi and a pool. For massage services, guests can enjoy the spa close to the fitness, which is located on the other side on the river. For my personal experience I enjoyed a facial treatment. Pretty surprising was, that the hotel uses QMS! Products. I have shared my firsthand experiences with QMS! In the past and I really like their products and use them privately. I enjoyed a 75-minute facial with a deep cleansing of my skin. 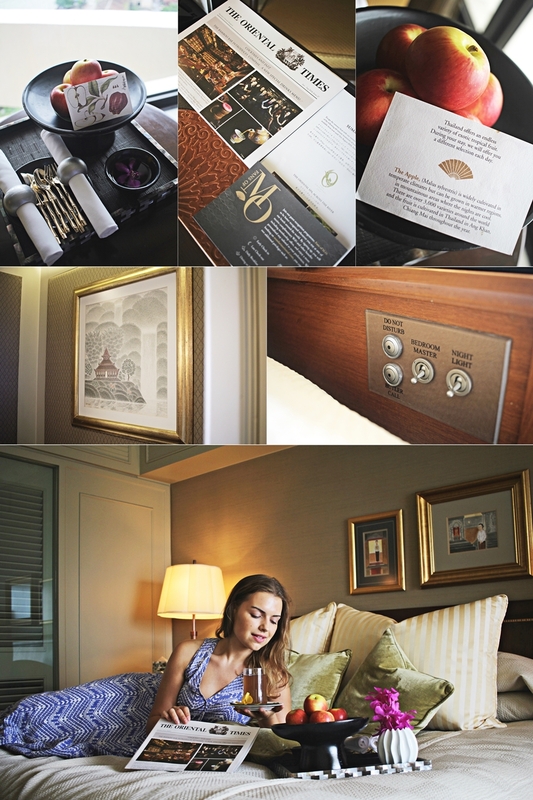 The Mandarin Oriental is the only hotel in Thailand which is offering the facials with QMS! products, which makes it a must visit on everyone´s list. Besides that, the Mandarin Oriental Bangkok holds a daily yoga class, which is complimentary for guests and a broad experience. I felt a lot of tension due to my hectic travels in the last weeks. The yoga class was a terrific way to recharge my body and get rid of most of my triggered points. Just as everything, there is always time to say goodbye. As I spent my last night in Bangkok with the Mandarin Oriental hotels I can tell, that it was a perfect farewell to my third visit in Bangkok. It must have been my 8th or 9th visit to a Mandarin Oriental hotel and I´m always surprised how different each hotel is from the other ones, and still, all properties are so well connected and have this unique service and power to make one´s stay, no matter how many nights it might be, an everlasting experience and a place that one craves for to come back to. In that sense, all 31 properties do have something in common.